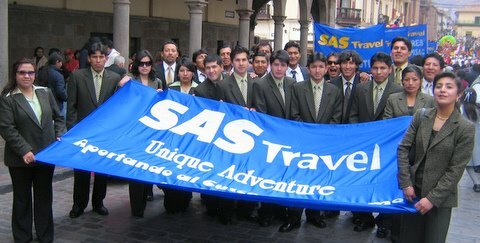 BOOK a Tour with SAS Travel and GET a 10% DISCOUNT in our MARQUESES BOUTIQUE Hotel in Suite, Deluxe or Standard rooms plus a FREE pick up from airport at your arrival to Cusco. 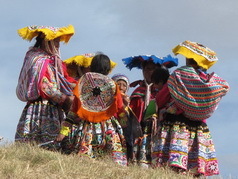 OR a FREE Sacred Valley tour to see Pisac, Yucay, Urubamba, Ollantatambo and Chincheros. 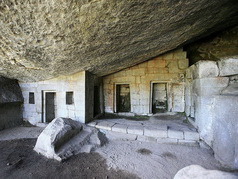 (70 Soles Entrance fee to the ruins and lunch are not included.) 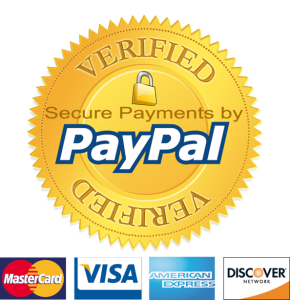 Payment of accommodation is required in $ USD cash or Soles cash directly in Reception. To reserve please contact Miguel at: [email protected] but you must also indicate your tour reservation code with SAS Travel. 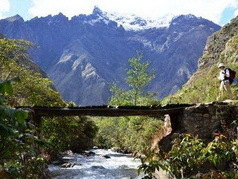 Cusco Tour, Sacred Valley of the Incas, Rainbow Mountain Tour, INCA TRAIL hike with 8 Kg porterage and Aguas Calientes town 8 Day tour. 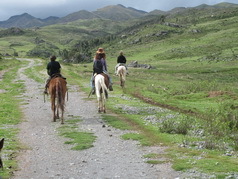 Day 1.- Transfer from Cusco´s Airport to Hotel Marqueses, Cusco Tour. Day 2.- Sacred Valley Tour, Pisac, Ollantaytambo, Chincheros.Hotel Marqueses. Day 3.- RAINBOW Mountain Tour. Hotel Marqueses. 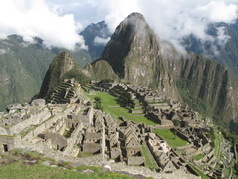 Day 4 to 7.- Inca Trail to Machu Picchu. 8 Kg personal porter service. 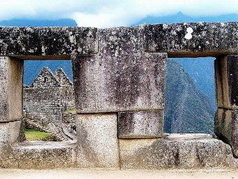 Day 7.- Arrive to Machu Picchu. Guided visit, time to explore. 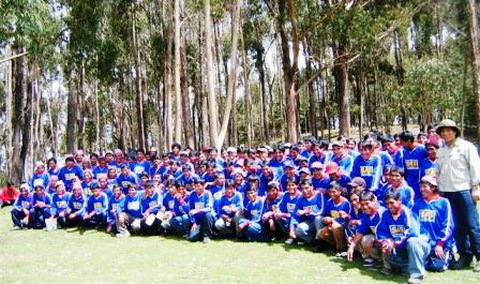 Return to Cusco. Day 8.- Free time to enjoy Cusco. Afternoon. Transfer to the Airport or Bus Terminal. 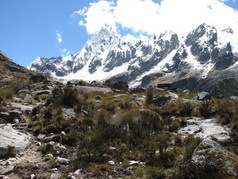 Day 3.- 4 Day/ 4 Night Inca Trail hike with 8 Kg porter. Night in 2 p tent. Day 4.- 8 Hrs walk to Pacaymayo camp Night in 2 person tent. 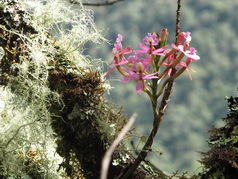 Day 5.- 8 Hrs walk to Wiñaywayna.Night in 2 person tent. 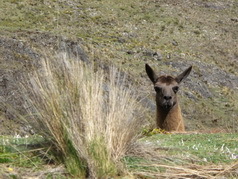 Day 7.- Return to Ollantaytambo, private transport to Cusco.Hotel Marqueses. Day 8.- Transfer to Airport or Bus Terminal. 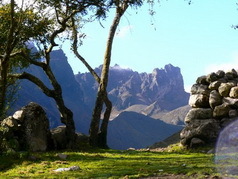 Day 2.- Sacred Valley Tour with Lunch (from 8am to 6pm), Hotel Marqueses. 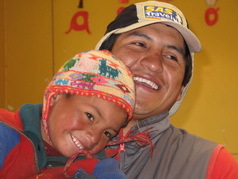 Day 3.- Maras Moray and Salt mines tour (9am to 4pm).Hotel Marqueses. 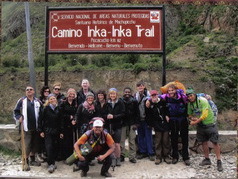 Day 4,5,6,7 -4D/3N Inca Trail hike return to Cusco. Hotel Marqueses. Day 8.- Transfer to the airport or bus terminal. (End of our services). 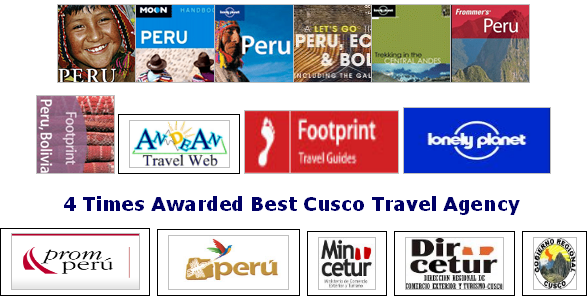 TOURS # 1.- The 3 BEST Tours in CUSCO and around. SHARED SERVICE. Tour Van with experienced drivers and highly recommended tour guides. (Second Tour) 2nd Day.- The Sacred Valley Tour with a Buffet Lunch.- We visit Pisac Ruins + Pisac Market and town, Urubamba, Ollantaytambo and Chincheros. 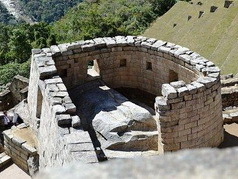 Full Day tour from 8:45 pm till 18:30 Hrs (Optional to get off at Ollantaytambo to take a train to MachuPicchu). 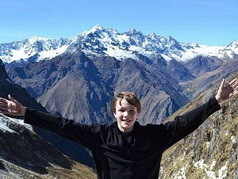 Price for 3 Tours USD$ 79.00 per person. INCLUDES: Touristic Bus and Expert english speaking guide + 1 Buffet Lunch included. NOT INCLUDED: Entrance fees to each of the sites visited, meals not indicated. HOW TO BOOK THESE TOURS.- Once you have choosen the first date of your tour on the Calendar (left side). Fill in out your details and peolple traveling with. Get a reservation code and pay online with Visa or MC. In the lower part of the format in Notes let us know your chosen dates for each of the tours. Please Note that choosen dates for each of the tours does not need to be consecutive days. 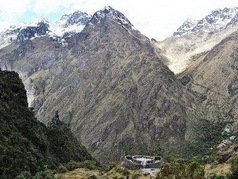 TOUR # 2.- SACRED VALLEY OF THE INCAS. -PRIVATE SERVICE. 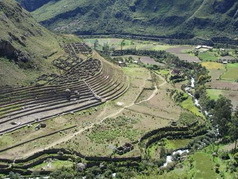 The Sacred Valley Tour.- We visit Pisac Ruins + Pisac Market and town, Urubamba, Ollantaytambo and Chincheros. 2 people group US$ 95.00 p/person. 3-4 people group 75.00 p/person. 5-9 people group 50.00 p/person. 10 people group 30.00 p/person. Guided tour with expert english speaking guides. 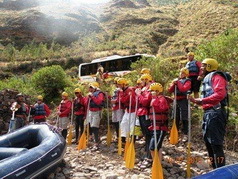 TOUR # 3.- URUBAMBA, PISAC, YUCAY, OLLANTAYTAMBO,URUBAMBA IN SACRED VALLEY, MORAY, MARAS & SALT MINES, URUBAMBA OR CUSCO. 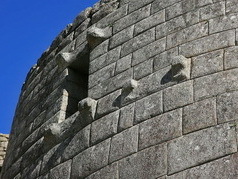 PRIVATE TOURS Daily Departures. 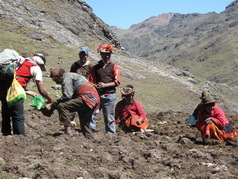 Departing from Urubamba, Ollantaytambo or Pisac on the Sacred Valley 08:30 am then continue to Pisac Inca archaeological site ( 2 Hrs) and time to enjoy the typical market in the Sacred Valley on the Incas, then return to Urubamba, drive for 45 minutes to Maras, visit and explore Maras, Moray and Salt Mines then return to Cusco or Urubamba by 17.00 Hrs. 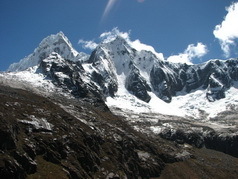 Include: Private transport and English speaking guide. 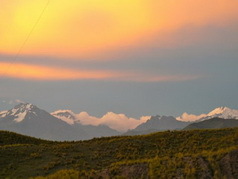 (2 person minimum) USD$ 150.00 per person. 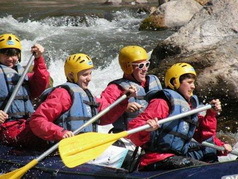 4-5 people group US$ 90.00 per person. (Entrance fees and Lunch not included). 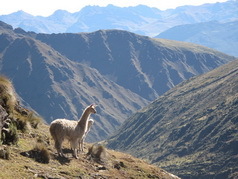 TOUR # 4.- INCA TEMPLES NEAR CUSCO, PISAC IN SACRED VALLEY, MORAY, MARAS & SALT MINES, CUSCO. -Daily Departures. PRIVATE TOURS. 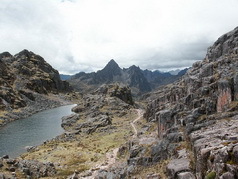 4 Inca Sites located near Cusco Tambomachay, Pucapucara, Qenqo and Saqsaywaman, then continue to Pisac Inca archaeological site and time to enjoy the typical market in the Sacred Valley on the Incas, then continue to Urubamba,visit and explore Maras, Moray and Salt Mines then return to Cusco by 17.00 Hrs. 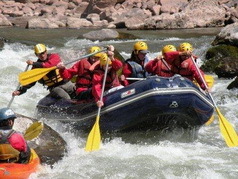 (2 person minimum) USD$ 120.00 per person. 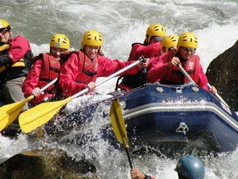 4-5 people group US$ 80.00 per person. 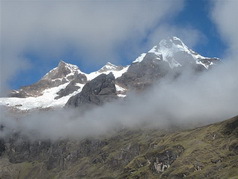 Start at 08:30 am Pick up from your Hotel - Return to Cusco at 17.00 Hrs. (2 person minimum.) USD$ 110.00 per person. 4-5 people USD$ 85.00 per person. (Entrance fees and lunch not included. 140 Soles per person). TOUR # 6.- VISIT CHINCHEROS, MARAS, MORAY & SALT MINES, OLLANTAYTAMBO IN THE SACRED VALLEY,CUSCO. (FULL DAY) -Daily Departures. PRIVATE TOURS. 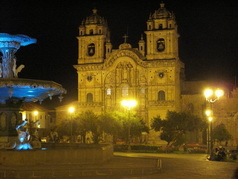 Start at 08:30 am Pick up from your Hotel - Return to Cusco at 18.00 Hrs. (2 person minimum.) USD$ 120.00 per person. Book in this page selecting your preferred date on the Calendar and at below at the lower part of the format in Notes write your elected tour, remarks and other details. Get a reservation code and pay online for your tour online with Visa or MC. 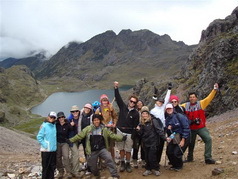 Cusco, Sacred Valley Pisac, Ollantaytambo, SHORT INCA TRAIL, Colca Canyon to see condors, Floating Islands at Titikaca Lake 10 Day/ 9 Night. 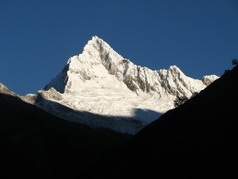 Day 3: Early train to Km 104 (Start of Inca Trail) 6 Hrs walk to Machupicchu (pack lunch) arrive for the sunset. Time for great views. 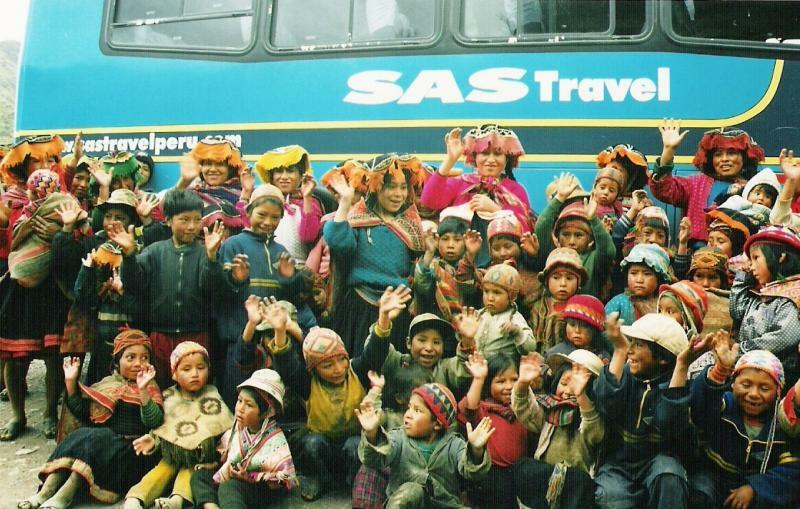 Bus to Aguas Calientes . Hostal & Dinner. Time to Hot springs. 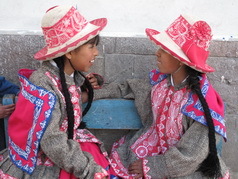 Day 6: Floating Island tour to Uros and Amantani Lake Titicaca. Night with the Islanders with Dinner included. Day 10: Afternoon Transfer to the airport. 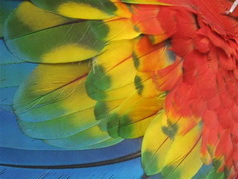 Flight to Lima. FREE Upgrades to DELUXE or SUITES rooms for SAS Travel clients booking a standard room. MARQUESES BOUTIQUE HOTEL SPECIAL.- 4 nights for the price of 3 in Marqueses Boutique Hotel -Cusco OR free Up-Grade to Delux rooms for the price of Standard ..... to get this offer you must quote it at the time of booking and payment is required in cash. Please book through this website but you must indicate your tour with SAS Travel in the appropriate section and quote the offer you want at the time of booking. FRIENDLY 4 DISCOUNT.- For a group of 4 or more people booking together. 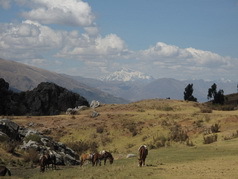 If one of your party make a single booking and payment for the 4 of you we will give you a free Sacred Valley Tour included in Cusco OR $10 off your Lake Titicaca package per person (Must be reserved by one of the participants, making only 1 Booking Payment). Just email us to find out what is available for your dates. 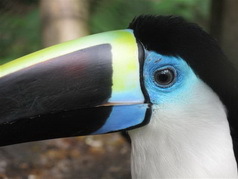 For Nov 2013 until March 2014 there is a 4 nights for the price of 3 with any SAS Travel bookings made before 1 Nov but you need to mention this offer at time of reservation. Hotel Marqueses Cusco accomodation 4 nights for the price of 3 .... or free Up-grade from Standard to Delux room. 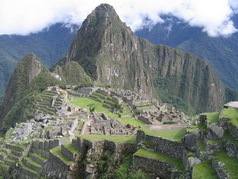 You must quote this offer when booking your MachuPicchu SAS tour. 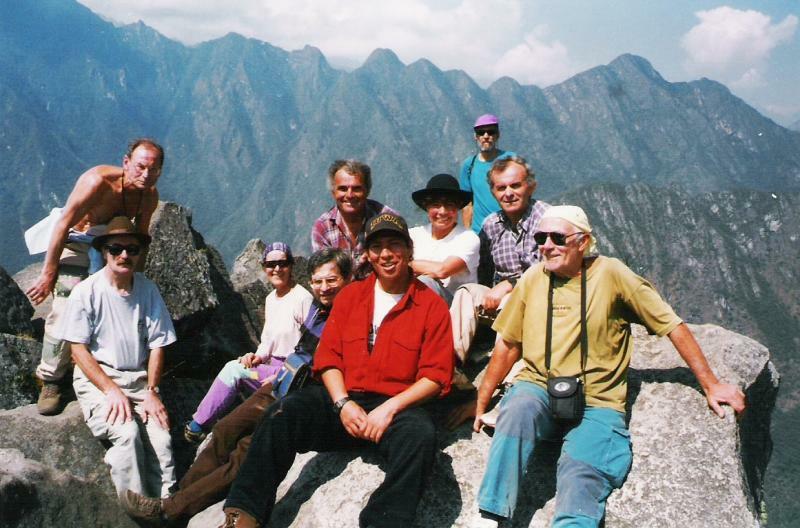 This Valle Sur tour including Tipon, Pikillaqta and Andahuaylillas it is a great opportunity to visit the non visited sector in Cusco, with beautiful lakes and villages, we have daily departures in our private guided tours, you can just book at our Office or by e-mail. Also you can find the best places where Cuzqueños eat Cuy al horno -Guinea pig. 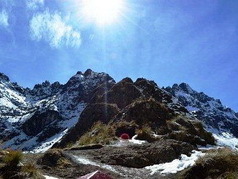 We had an amazing time on our trek and loved it all. Hernan and Javier were brilliant, although I'm not sure Hernan will ever forgive Andy for kicking his ankle during the international football tournament en route! We have got loads of amazing pictures (which I'm sure you've seen about a million times), we'll be emailing some to Hernan soon who I'm sure will share them if of interest. Boris & his team were star cooks, producing more amazing food in the cooking tent than we can in the kitchen at home. My one complaint was a constant fear of gaining weight whilst in his hands - everything was irresistible! Unbelievable and greatly appreciated by all as the clean plates showed. And thanks so much to you for all your help with the organisation of everything. 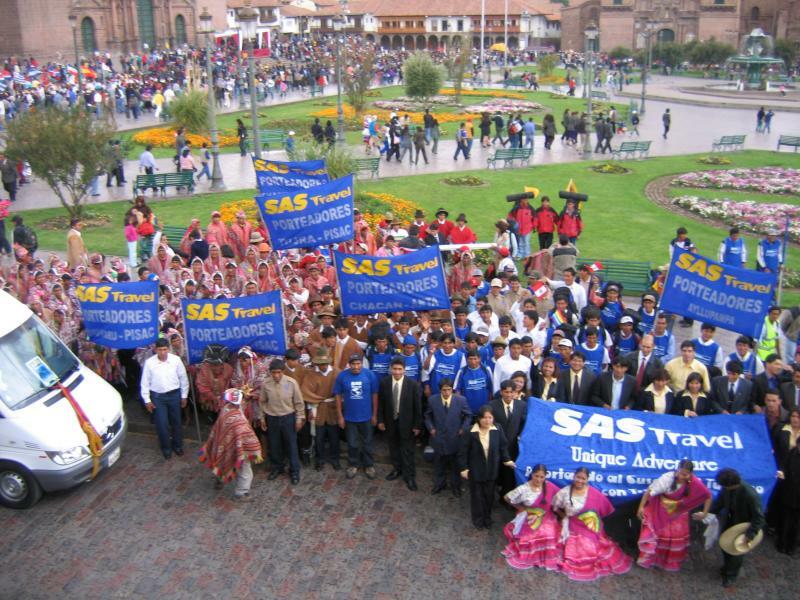 It all worked out brilliantly including the elements you arranged for us in Puno.